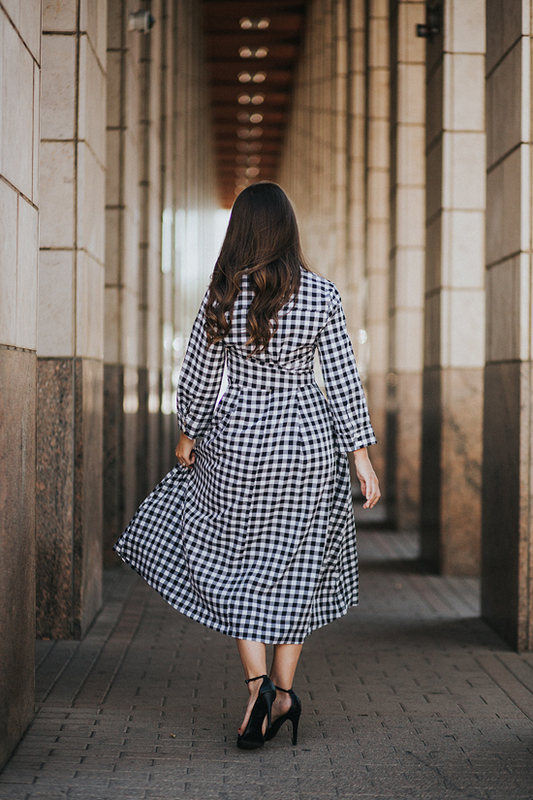 When the temps heat up, we often times find ourselves reaching for less and less fabric when getting dressed, but I can't be the only one that often finds myself fidgeting with skimpy pieces, & feeling exposed when I'm showing off the front, back, top & bottom in my clothes. Part of this is surely from my mom reminding me that "modest is the hottest", and calling me out on my "duck dresses" (if you bend over and show your "quack" it's a duck dress!). 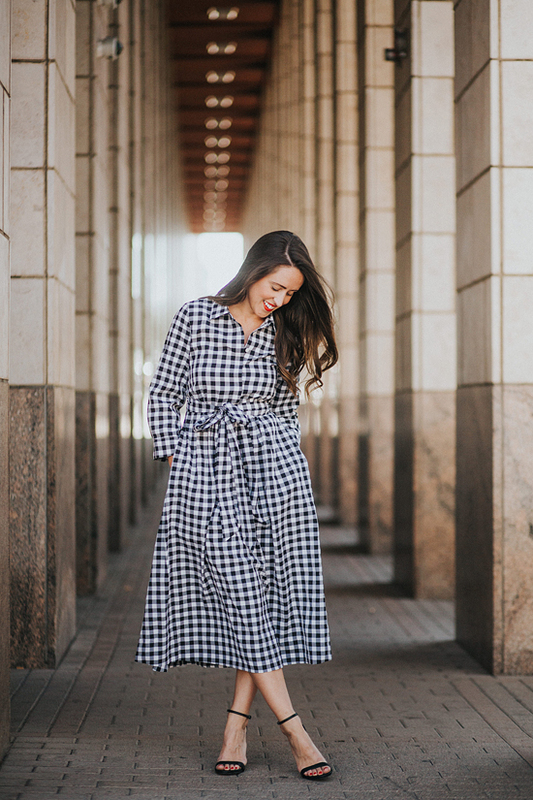 So I am thankful for brands like Dainty Jewell's that shares my passion for encouraging clothes that flatter, without letting it all hang out! I can't help but get a total "Mad Men" vibe from so many of their pieces - can't you just see Betty Draper choosing this dress for a garden party?? And the designs are super thoughtful, where many dresses have pockets (score! 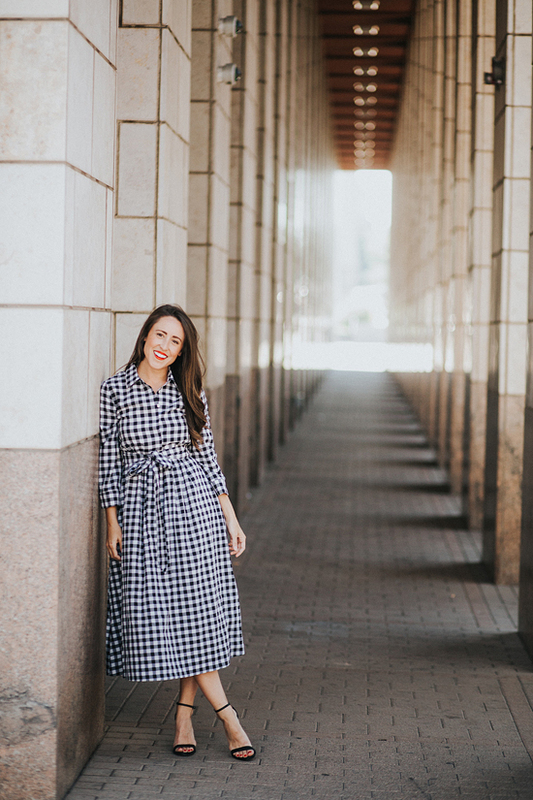 ), & can be dressed up or down - this pattern mixing combo & poppy print maxi both have me dreaming up how I could style them if they were in my closet! 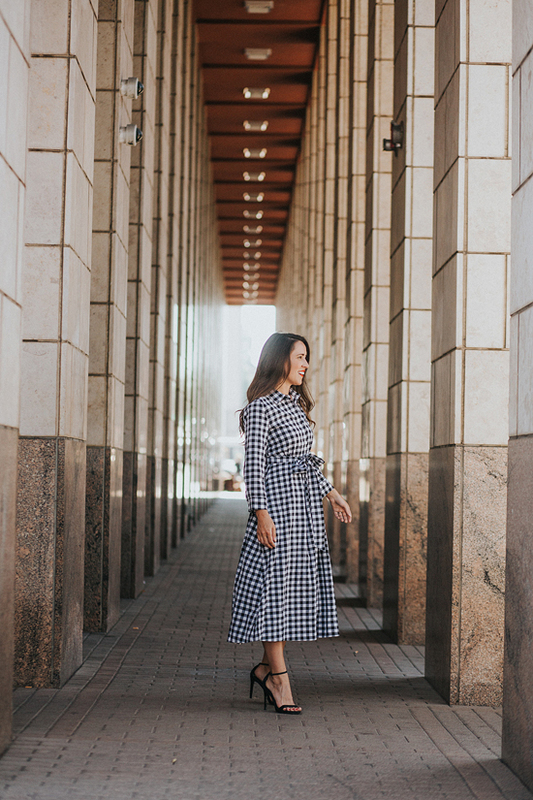 dress: Dainty Jewell's gingham dress (I am wearing a Small & it fits so perfectly it's almost a little insane - did they tailor it just for me!?) 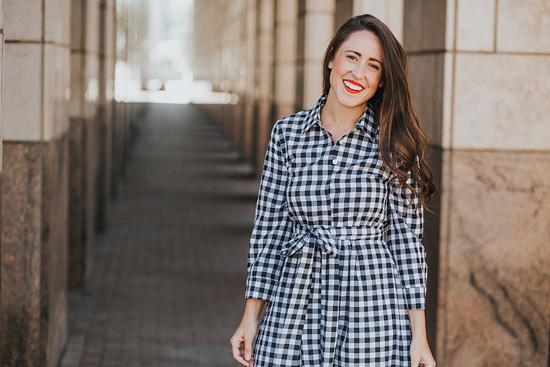 Another gingham option here.